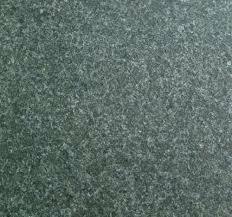 With years of practice of this field, we are proficient to present a wide series of Granite Floor Tiles. Our product is developed utilizing the industry permitted input and advanced techniques. We are providing our product in varied specifications that meet on clientele demand. In addition, quality controllers strictly check this product in order to perfect series delivery. Gogia Bath Shopee is a popular Supplier and Trader of Bathroom Sanitaryware Products, Floor Tiles, Modular Kitchen, Bathroom Accessories, Bathroom CP Fittings Parts and Looking Mirrors. We make sure highly advanced series of products which are identified in the market for their high reliability, superior quality and superior varieties. We procure all our products from the most trustworthy sellers of the market. Our strong marketing network assists us to distribute all our products to different regions of the country. These are highly praised and purchased at the leading market price range. With our corporate office located Delhi, we maintain most proficient team of quality experts and distributors. They are skilled to work closely with the customers and meet their demands. We are the best choice of the market and ensure superlative products which are quality assured and are safely supplied for various household necessities and commercial needs. With our advanced amenities and customers oriented efforts, we are competent to stand as the most reliable name of the market.